Thanks for joining me on the 2012 MARA-thon! This includes a physical book tour through Colorado, New Mexico, Arizona and California. And it includes a national blog tour. During the entire MARA-thon, please be sure to download your FREE prequel short story, When Whales Watch at www.MaraPurl.com/downloads. As of January 1, you’ll be able to find purchase links for all e-readers at http://marapurl.com/books/when-whales-watch. This is posted from the road during my All-Indie-Bookstore book tour titled MAPPING THE JOURNEY OF YOUR HEART. 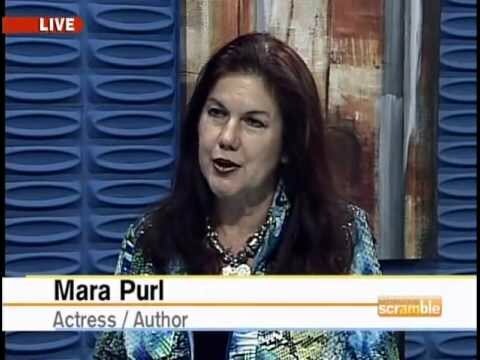 Revisit the entire tour at any time by visiting www.MaraPurl.com/calendar where you’ll see event details, links to the bookstores, and soon, photo archives. Also join me on the ongoing Double Blog Tour , which will be archived at http://marapurl.com/fall-blog-tour-schedule. It was so inspiring and encouraging! I’d never sold anything in my life, but felt such a passion about this story and its potential that my heart was aflame. Though I didn’t quite realize this at the time, several of the businesses I approached were as young as mine was, and we’ve later discovered for how long we’ve been in synch. Such is the case with John and Renee Linn, who preceded me to Cambria by only a few years. Having moved there with their young kids from Detroit, they’d bought a lovely farm and begun growing fruit and creating scrumptious fruit pies. The fruit pies became famous, and traffic began to beat a path down the quiet, country road to their farm—so much so, that neighbors complained. So they opened their first retail business in town, called Linn’s Fruit Binn. The Linns became one of my very first sponsors, paying a modest weekly fee in exchange for being broadcast as a sponsor of Milford-Haven, and so we came to help one another get established. Ultimately, my radio drama became a hit with a few million listeners in the U.K., and now a series of novels with as many followers in the U.S. And Linn’s had become a nationally known brand, offering not only their famous pies (frozen for shipment) but sauces and jams, mixes for pancakes and muffins, seasoned oils and hand-blended spices. They long ago outgrew their original Main Street location and now have their own enclave, a charming cluster of cafes and retail shops that surround an umbrella-ed garden. Nothing could have delighted me more than to be invited to do an event at Linns, and the garden-facing porch of their HomeStyle Gifts & Sale Loft. The gracious and dynamic woman who invited me is Roxane Broderick, herself a former professional editor, who wouldn’t agree to my event until she’d had a careful read of my first novel. Happily, I passed muster, and Roxane then devoted her considerable energies to creating an event with all the trimmings. Her compatriot who runs the books-and-sundries shop lent her support and creativity, and by the time the event began, we had an inviting display, delectable food, and an appreciative crowd, creating a full-circle experience that allowed me to conclude this long and winding book tour exactly where the entire story itself began, signing my new book. In so many way, this really is . . . Where the Heart Lives. This entry was posted in about issues of the heart, Art and Entertainment, Authors, Book Clubs, Books, California, Cambria, Community, community and transformation, Connecting through books, Creativity, Finding treasures of the heart in books, Heart, Heart and head connection in books, ideas for books, involvement in issues near and dear to heart, Love of Books, Mara Purl, Marketing, Milford-Haven Novels & Stories, Where the Heart Lives by Mara Purl, Women authors and tagged author Mara Purl, California coast, Cambria California, novel series by Mara Purl, The Milford-Haven Books, Where the Heart Lives, women's fiction. Bookmark the permalink.